Our promotional 16 oz. Persona Silo Vacuum Tumbler has copper lined vacuum insulation to provide optimum heat retention. The 16 oz. Persona™ Silo Vacuum Tumbler will warm your beverages and maintain them at the most favorable temperature, enabling you to enjoy them to the fullest. This tumbler is made using stainless steel. It has copper lined vacuum insulation to provide optimum heat retention. The leak proof screw on lid with an open/close push button locking closure avoids spillage and unforeseen accidents. Remove the lid to clean it. Hand wash the tumbler. Carry it along with you using the draw string pouch that comes along with it. 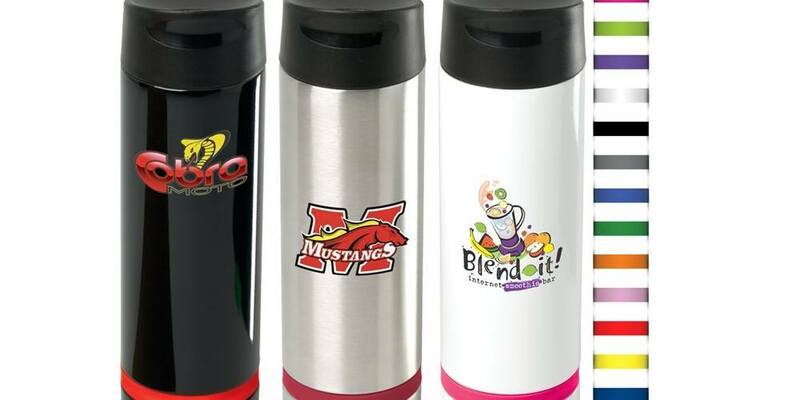 Choose from various available colors, imprint your company’s logo on the 16 oz. 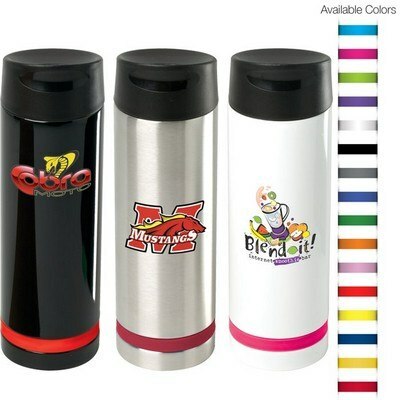 Persona™ Silo Vacuum Tumbler, using TruColor, Silk Screen, or Laser Engraving imprint technology, and warmly build your brand image.